First, I’d like to remind you of the special offers on our new course “Master Sicilian Pawn Structures” by IM Mateusz Kolosowski. 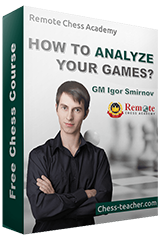 In this course, you’ll learn the general guidelines for the pawn structures resulting from the Sicilian Defense. In honor of the popular Sicilian Defense and to celebrate the launch of the course, we’re providing you with a huge 30% discount on the course – you will save about $24 USD! Simply use the coupon “sicilian30”. If you don’t know how to use a coupon, please see here. It is a limited-period offer and it will be valid only till Sunday, 30 September. 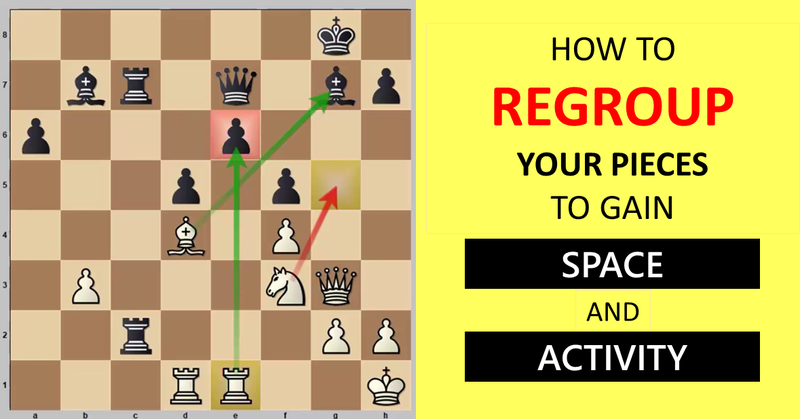 There’s an additional, new offer I’ve decided to provide you with – if you purchase the new course “Master Sicilian Pawn Structures” on or before Sunday, 30 September, you will get any premium video from our best premium video lectures for FREE or a $20 USD voucher to buy any of our courses! 🙂 After your purchase of the new course (if you’ve already purchased the new course), please contact us by sending an email to [email protected] and claim your offer. In addition to mastering the Sicilian Defense against 1.e4, learn the Grunfeld Defense, a sharp and aggressive reply to 1.d4, from our course “Master the Grunfeld Defense as Black” to strengthen your opening repertoire and save $29 USD! Note: the coupon “sicilian30” can also be used on this combo-offer – i.e. 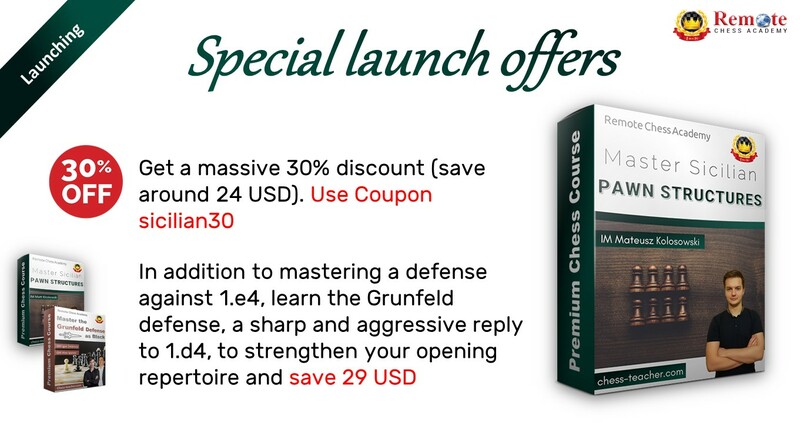 you can still get the course “Master Sicilian Pawn Structures” with a 30% discount by purchasing the combo! A couple of days after the course was released, I published a video lesson for you “5 Best Chess Opening Traps in the Sicilian Defense”. If you haven’t watched it yet, I recommend that you do so now.